Here are some very attractive (and practical) hats, ideal for all your Severn River watershed activities. Best of all, it’s your visible badge of commitment to preserving and restoring our watershed. 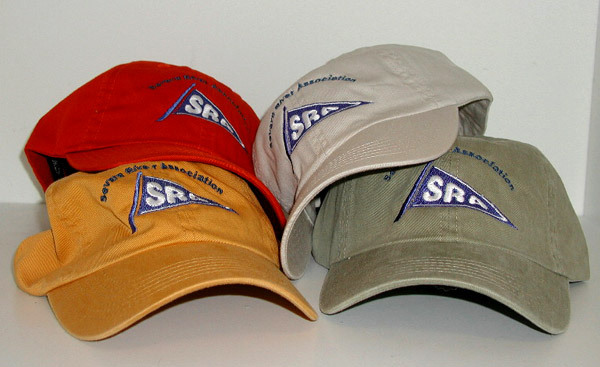 Official SRA Cap, Preshrunk 100% Cotton, 6 panel construction, low profile. One size fits all: Red, Yellow, Beige, Khaki. 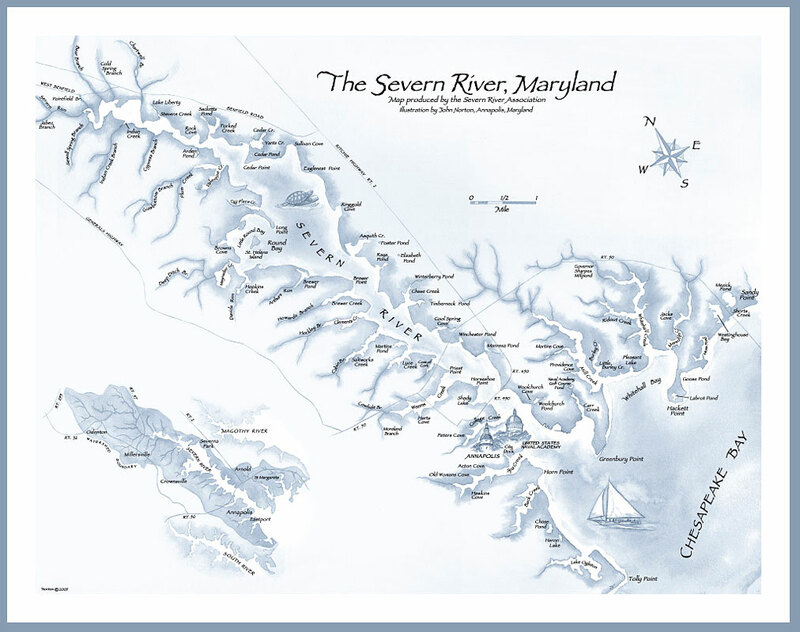 This lovely map, approximately (28 x 22.5) inches, was drawn and lettered by John Norton, reviewed by Amy Handen and Peter Bergstrom, and produced by the Severn River Association. Names were compiled by Peter Bergstrom and Paula Jasinski with assistance from Colby Rucker and other area residents. Hung on the wall, it makes a statement that your home is truly a part of the Severn River watershed.